....where are all the comments on director? 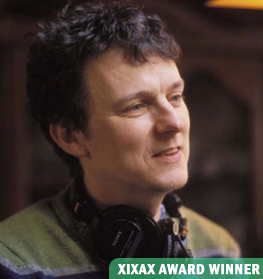 I think that's the first picture of Michel Gondry I've ever seen. what's that got to do with anything.. Nothing, I just realized that when I saw the picture. 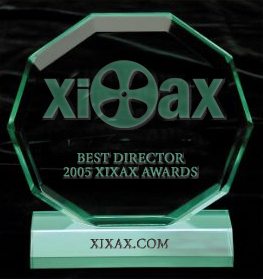 In these parts, best director is synonymous with best film. Look for the debate there. Or well, the complaining. come on... thats a typical Xixax win... he is good... but Scorsese is the goddamn winner here!!!!!!!!!!! Alexander Payne or at least Eastwood got robbed here. Any movie that wasn't Eternal Sunshine got robbed here, jesus, this place is like a bizarro E! why? a disgrace to whom? A disgrace to ALL filmmakers and non-emo kids everywhere. There is no anti-gondry thing. I love Gondry, I just think eternal sunshine is a TAD bit overrrated around here, the way LIT and PDL are. As a matter of fact this is the category im cool with, but the overall eternal love is out of control. No need to get emotional.